Some of the photos in the list below article might give you the chills or you could even experience goose bumps! We felt like that once we saw what happened in the pictures. 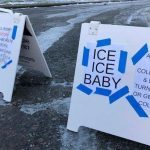 This is a collection of 25 really interesting and rare situations that we think are quite amusing to see. Those extraordinary experiences might really inspire you to believe that everything is possible. This person was a child when the top photo was taken. 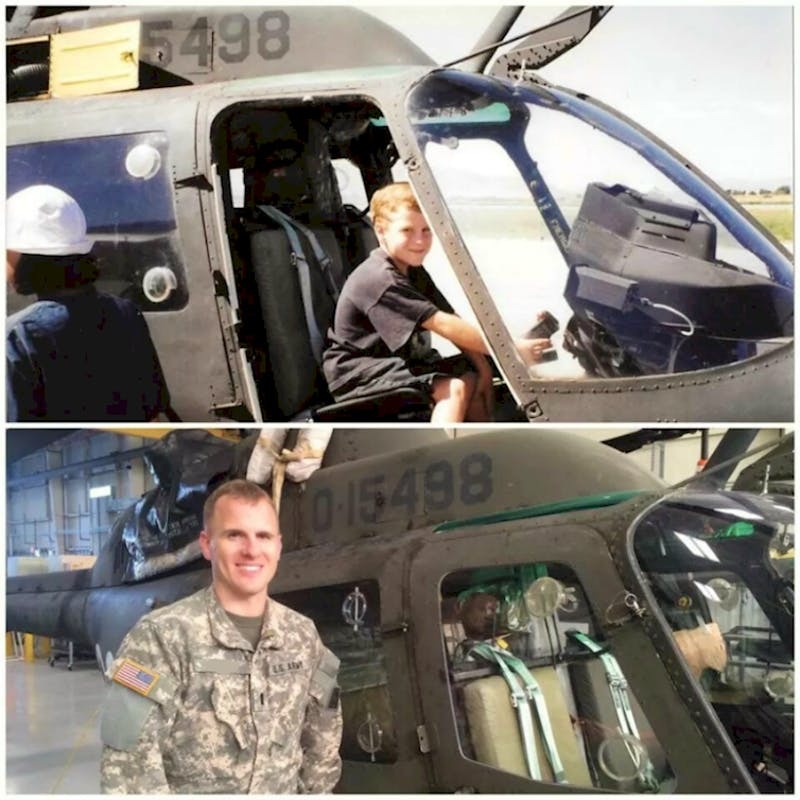 Right there, standing in the cockpit of an OH58 Kiowa helicopter, was maybe the moment he made the decision to be a pilot. Twenty years down the road he not only achieved his goal, but it turned out he has been flying the very same helicopter! What is amazing about this photo is the story behind it. 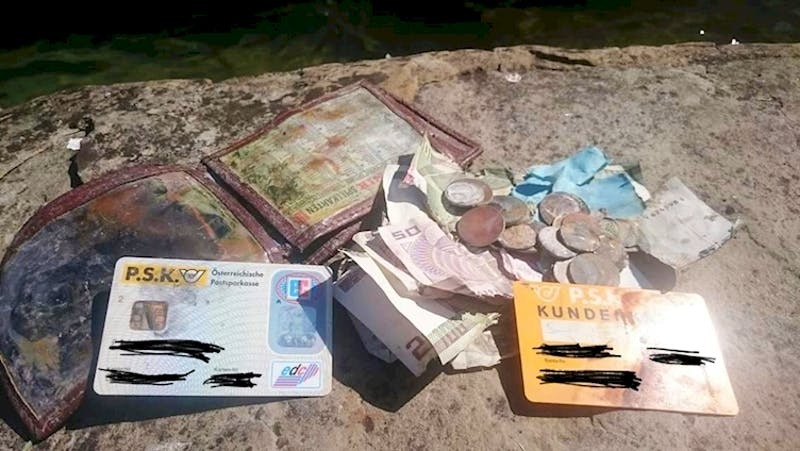 This person went fishing and caught his own wallet which he had dropped in the same lake 20 years ago. We cannot even imagine his surprise once he came to realize that those were his old cards and that this was actually happening. This can surely happen only once in a lifetime! 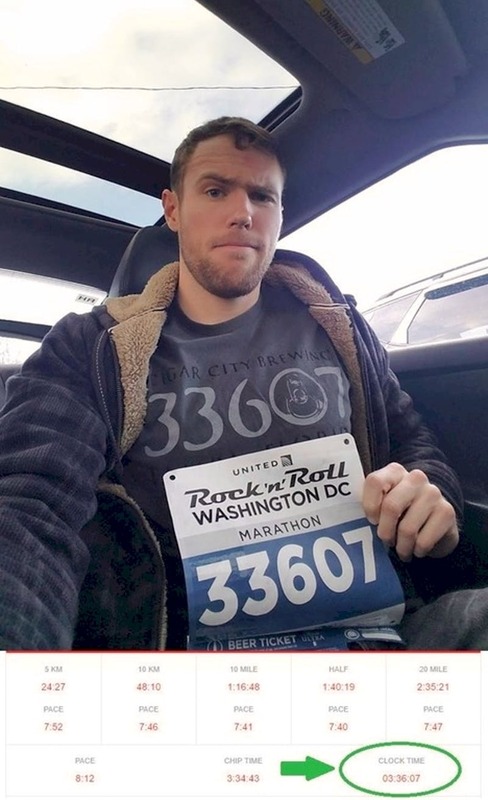 This person joined a marathon and the number on his T-shirt matched his race number, his hometown zip-code and also the time he took to run the distance! We believe what makes this awesome is that the numbers could not be fixed up in advance just for the photo. It seems that he is also surprised that such things are even possible. We cannot help but wonder if he entered the lottery with those numbers after the race. It looks like this small creature was trying to show a person how it looks like in reality. Or was it maybe just looking for a friend and landed on something familiar? We can never really know, however we think that the chances of this happening are usually low. This butterfly probably made the walk unforgettable for this person. 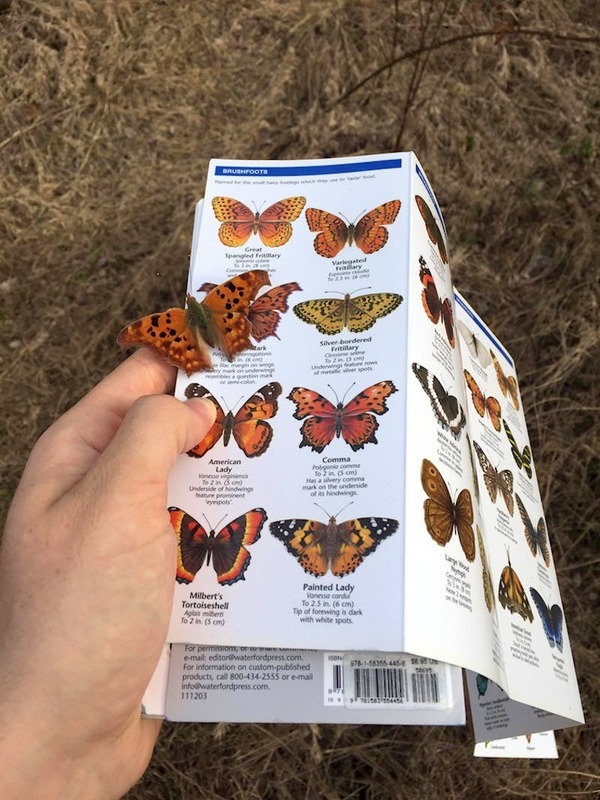 Possibly he felt lucky to see a real butterfly instead of only the pictures of it. We are happy that he could take a photo before it flew away. 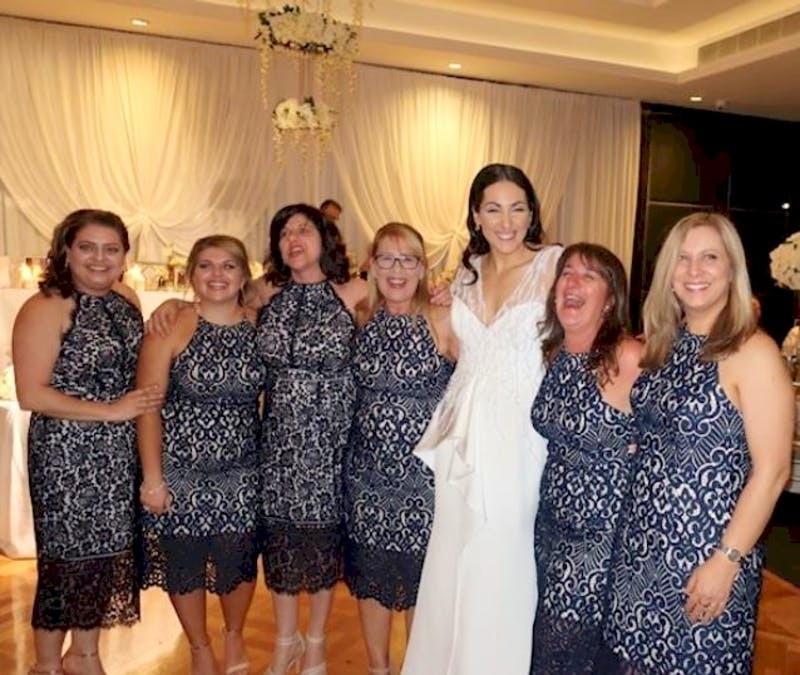 All six ladies in this photo are not the bridesmaids! The funny thing is that they showed up to the wedding wearing the same dress, without even knowing it. It was probably on sale somewhere and they shopped at the same store. We think it is funny, and especially when we imagine the sales person proposing this same model and saying: “Here is a perfect dress for a wedding”! At least they seem to be having fun with the situation. Sometimes very old trees fall down for no apparent reason or after a storm hit the area they are in. You can never predict something like this would happen. 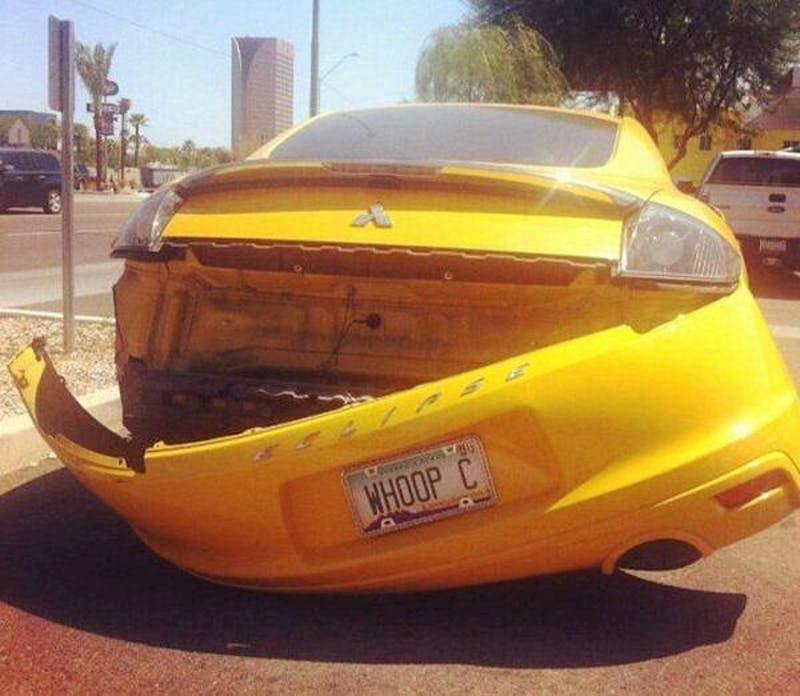 We believe this car owner got really lucky this time. 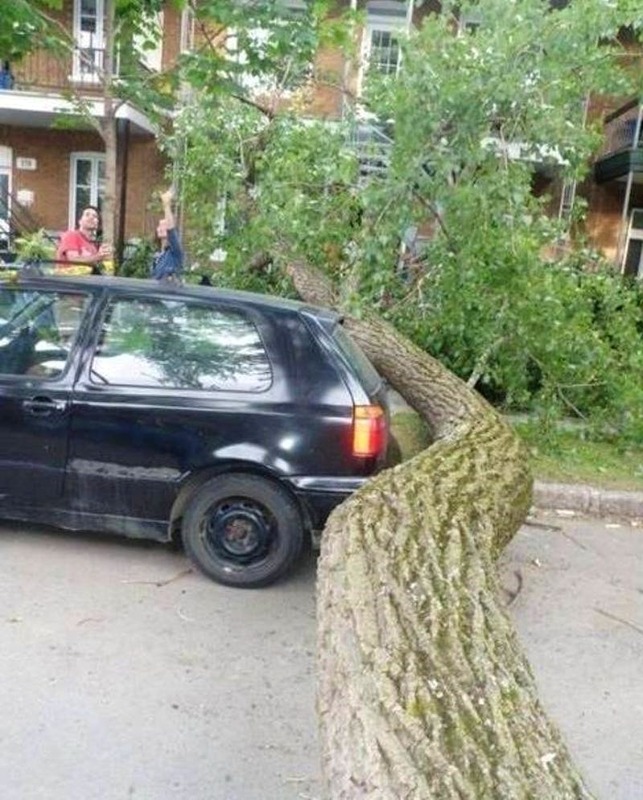 He probably felt appreciation for the tree curves, once he realized that his car could have been smashed. 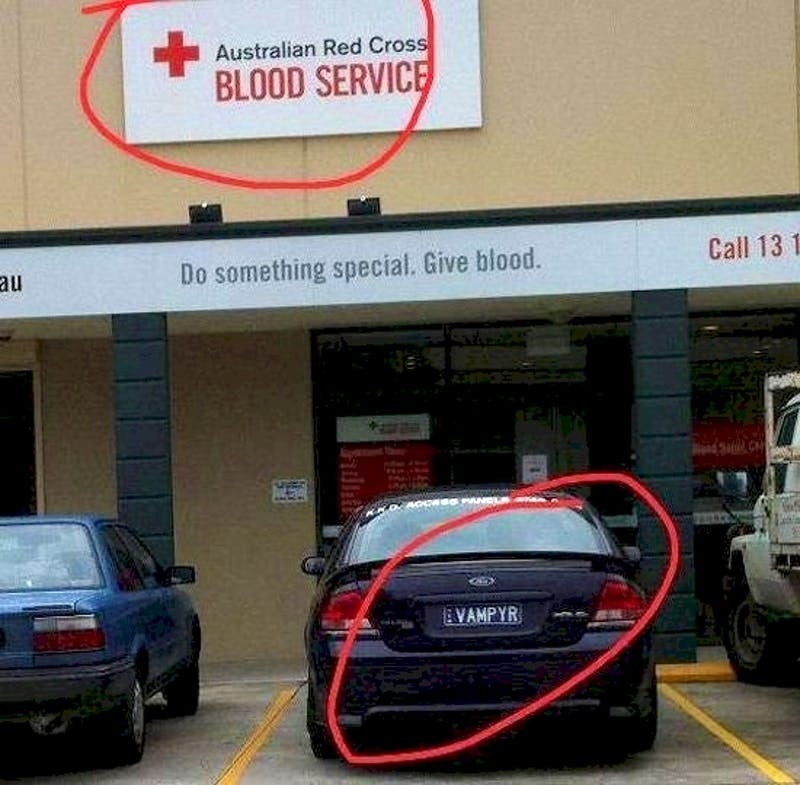 We wonder if this is was an intended result or a pure coincidence. As we ьвв know sometimes marketers can really exploit the saying „there is no such thing as bad publicity“. 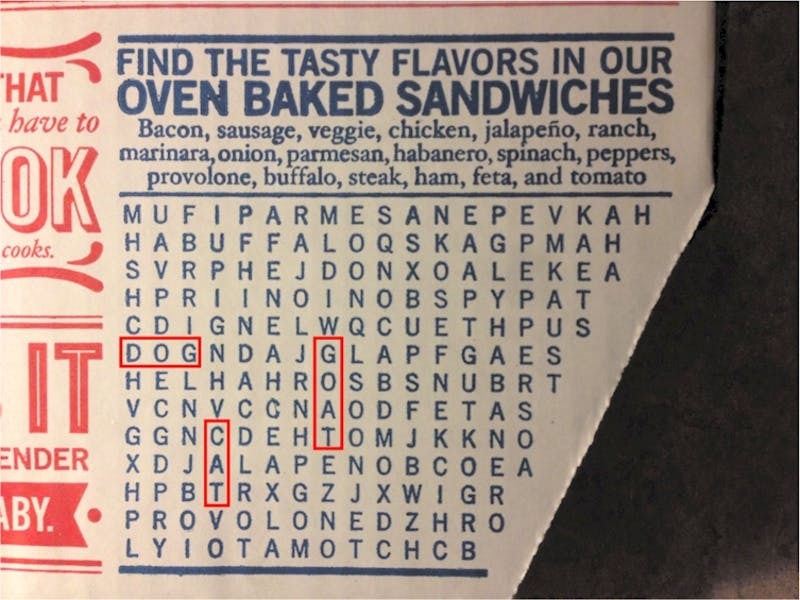 We can see that they were trying to arrange a fun game, designed for us to guess what the flavour is; howeverр people found unexpected terms. Most of us have met someone who wears the same T-shirt or has the same pair of shoes at least once, but this situation goes beyond the normal coincidence! We can see that those Toyotas are exactly the same model and color. To top it off they also have sequential license plates. This probably happened to show their owners what mass producing really looks like. We also think that this is quite amusing to see. 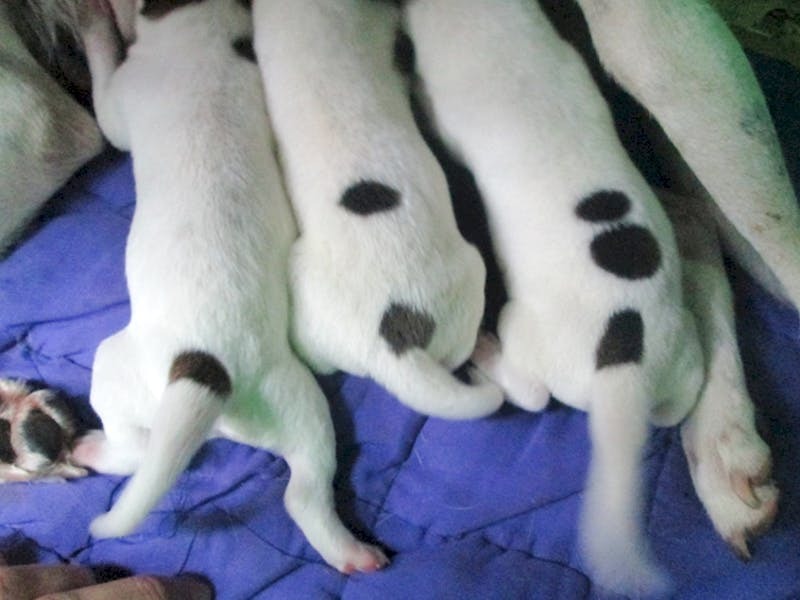 These puppies were recently born with sequenced spots on their backs! We believe that maybe their owners were overjoyed once they saw them for the first time. The newborn pups usually look similar to each other, and we think those spots would always show the difference in this case. They can also be some kind of inspiration when they name them. This is probably what happened when some extra fertile hens laid eggs. 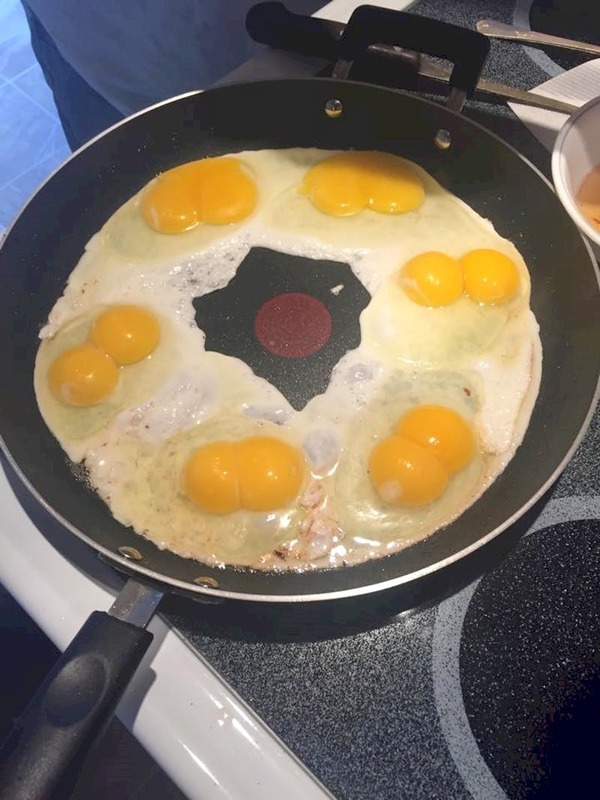 As we can see in the pic, all of the eggs cracked into the pan turned out to have double yolks! We believe that the person was quite amazed by this, especially if they were hungry. Most probably this weird coincidence would never happen to us, but we would have also enjoyed a double breakfast. Oh, the irony! This pic is one of our favorites on this list. Most probably this is just a random coincidence, but can you imagine if this person works there? We believe it is a hilarious situation and whoever did this surely has a good sense of humor. Finally, in our opinion there is no better place for this joke! This happened when an Australian person was traveling around Greece. 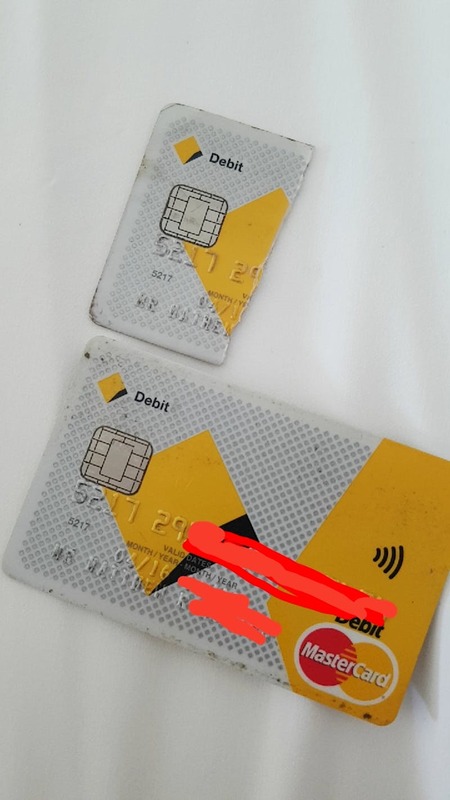 He accidentally found half of an Australian debit card and as it was weird to find it so far away from his home country he picked it up. We cannot even imagine his surprise once he realized that it had all the same numbers as his, including his name and the expiration date! Most probably the first thing he did is to check out if he still had his original card in his wallet. 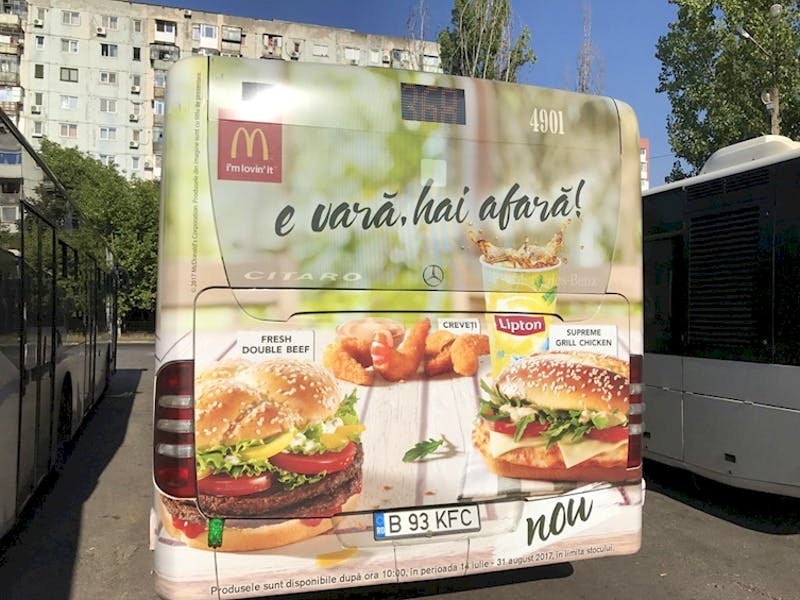 We think that this is quite funny as they placed this ad on a bus which has a registration plate saying “KFC”! We all know that those two brands are in a constant competition for more customers. The irony is that if they actually used this registration plate to match the other brand it would have been an interesting and efficient ad. We believe that this probably was the absolute best angle to take this photo from. The person who did this certainly captured the moment well. 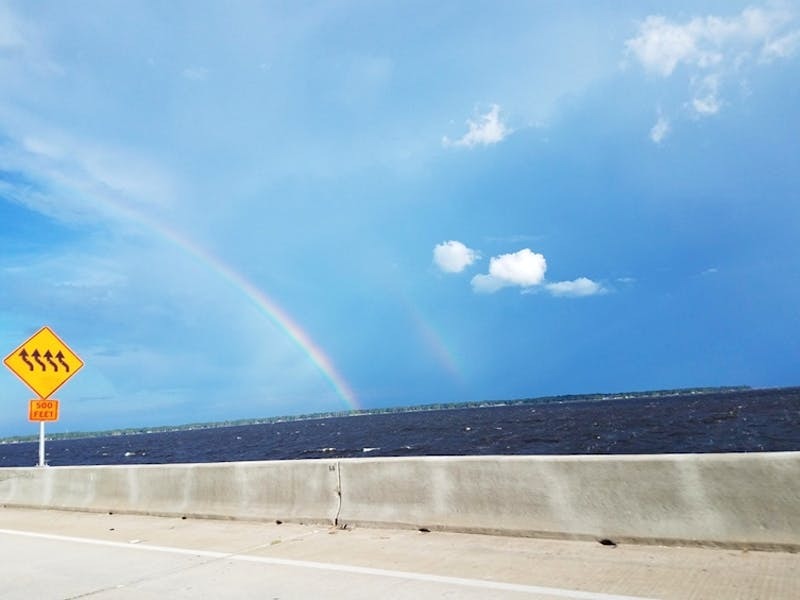 It looks as if the sign was there to point at the rainbow. We think it turned out simple and beautiful and we love the creativity of this person. This is another photo that seems to be taken at the right time from the best angle. 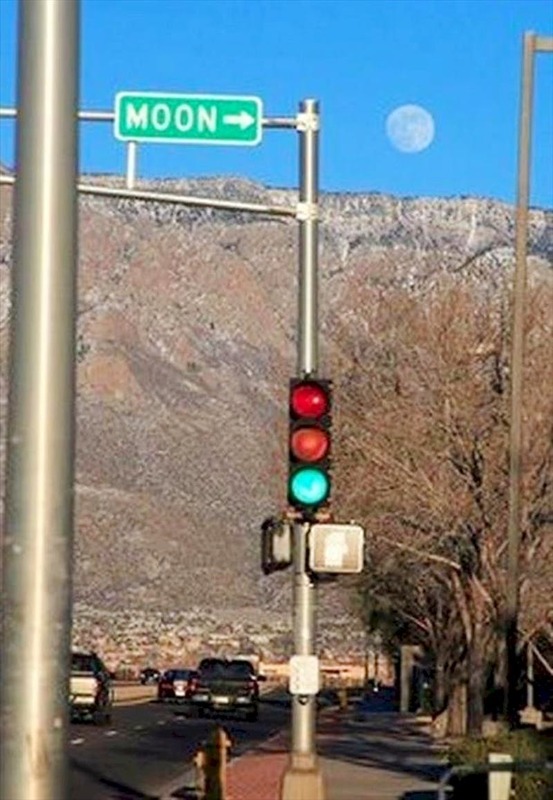 Most probably someone added the sign afterwards as it is not really necessary to know where the moon is in order to drive a car. In our opinion this was a pretty good idea. Even if this is not the common way to make their moms proud, we believe this joke is brilliant! 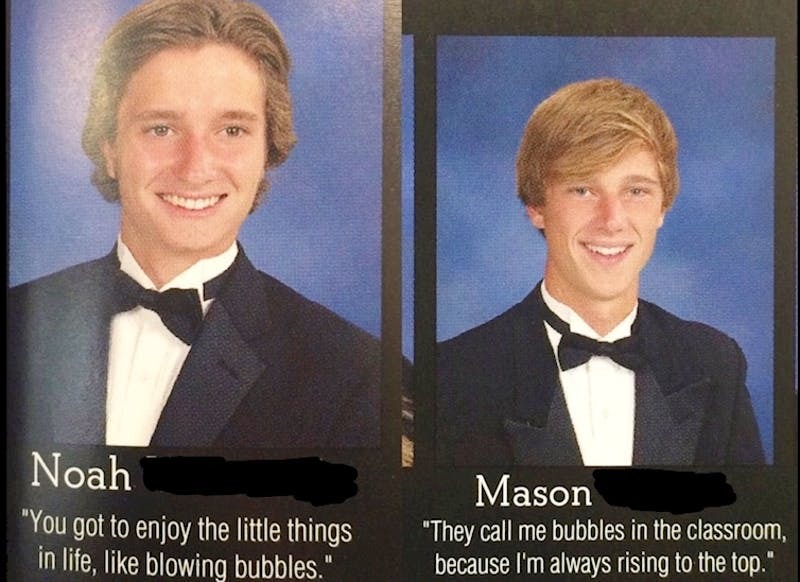 This is the way those two described themselves in their yearbooks. Most probably they are best friends, who also happen to be the class clowns. In our opinion this is hilarious. 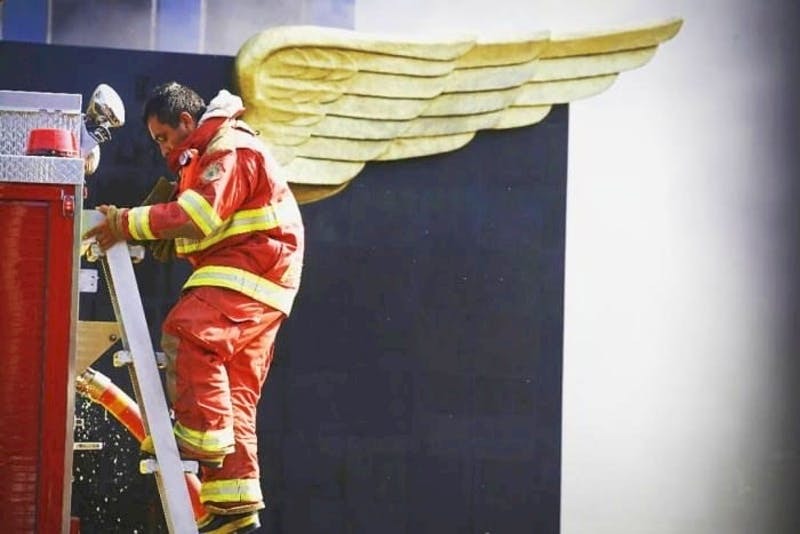 This fire fighter was photographed on duty. We think it came out pretty amazing as it sure looks like he has angel wings. There is a chance of this pic making us stop at least for a second and appreciate the hard and dangerous work those men do every day. It sure brings up positive emotions. 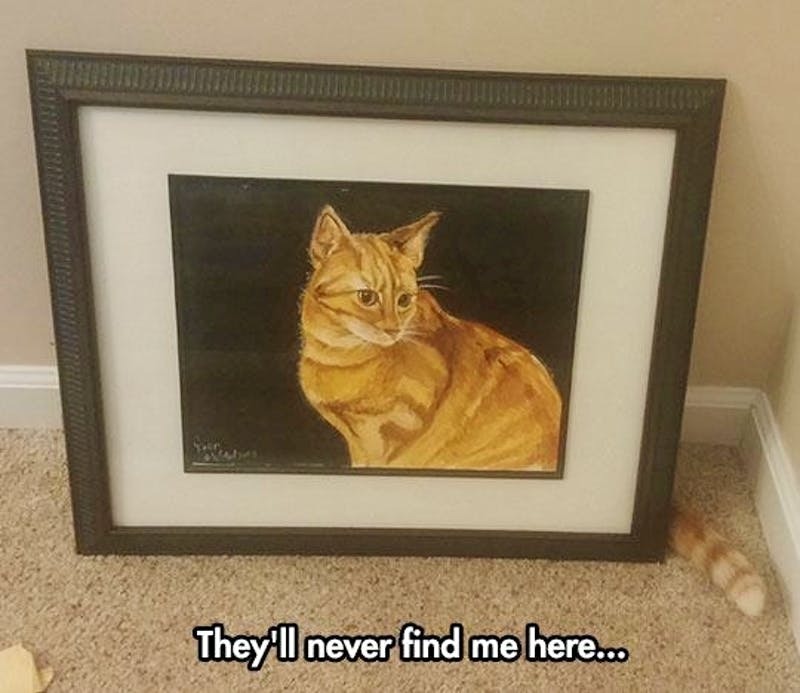 This photo is really amusing as the real cat is trying to hide behind the painting of itself. 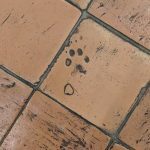 Little that it knew, its tail is not only visible, but the drawn cat is looking right at it! This of course makes it even funnier for us to see. The owner was probably happy to win the well-known game of “Where is the cat?!”! In this situation even the car tries to tell us that this was a minor accident. We believe that someone was not careful when they were driving and here is how this situation happened. Now this driver probably has to face some expenses in order to fix this. 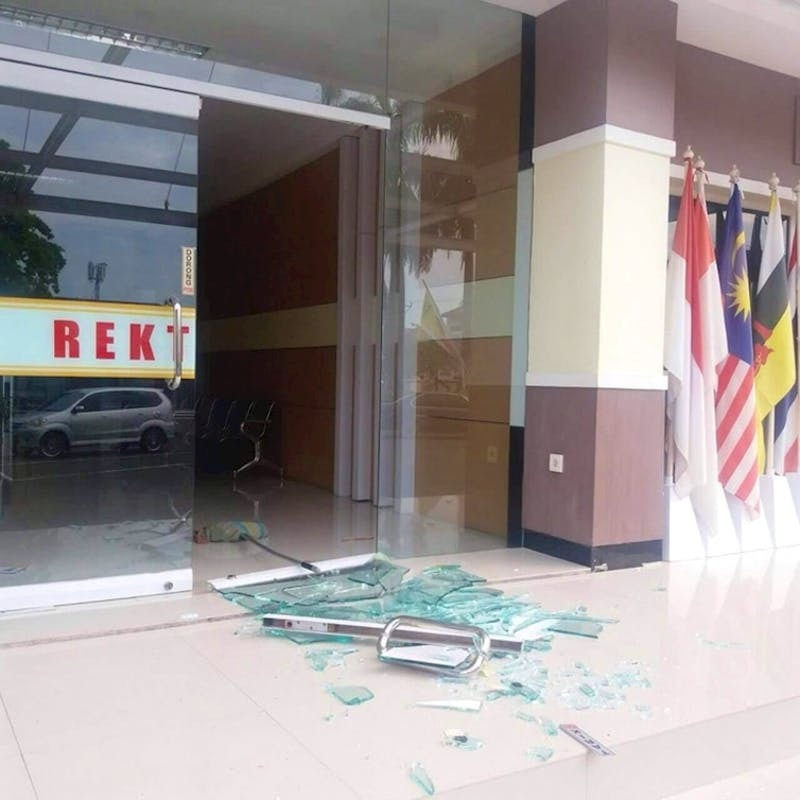 But even if the situation is not really pleasant, we cannot deny that the irony is quite fun to see. 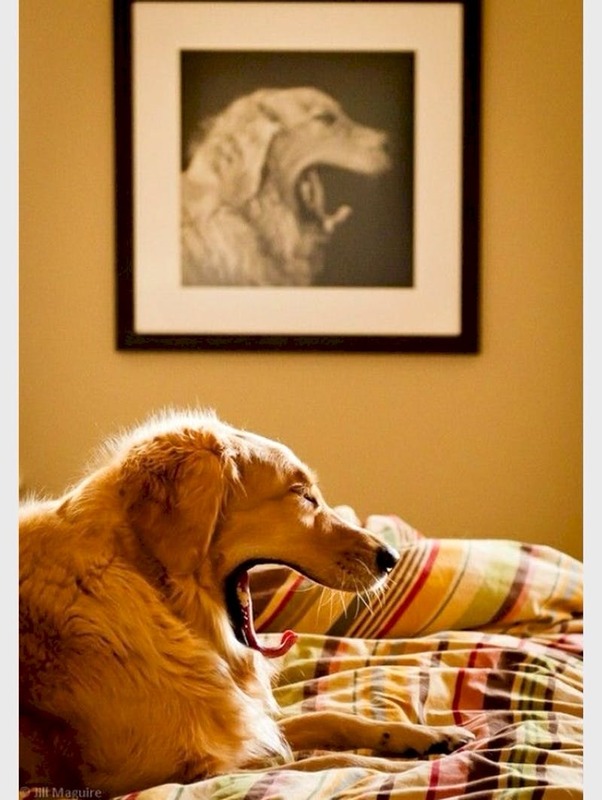 Try to resist this contagious yawn! We would have to admit that we were not able to resist it. This cute dog obviously has this habit. We really hope it is not as contagious to its owner as it was to us. In our opinion the painting really catches the essence of its character. 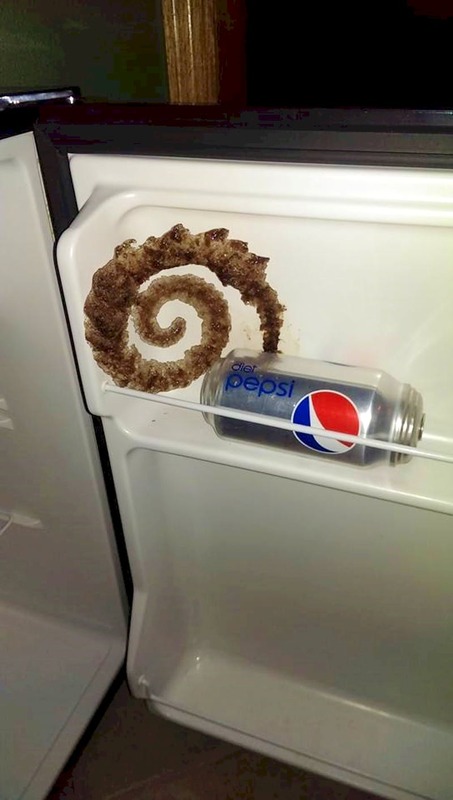 Have you ever wondered how would a frozen Pepsi look like? Well even if you have not, here it is! It seems that there was a small explosion inside this freezer and the result came out quite entertaining. We think that the person who found it was amazed at first, but then probably realized he now needs to clean up this frozen mess. Accidents happen, but what we see here does not happen very often. The door on our right was obviously wrecked and the door on the left is actually stating what has happened. This seems like another weird coincidence, but it sure is a curious situation. This person was caught at the right moment! 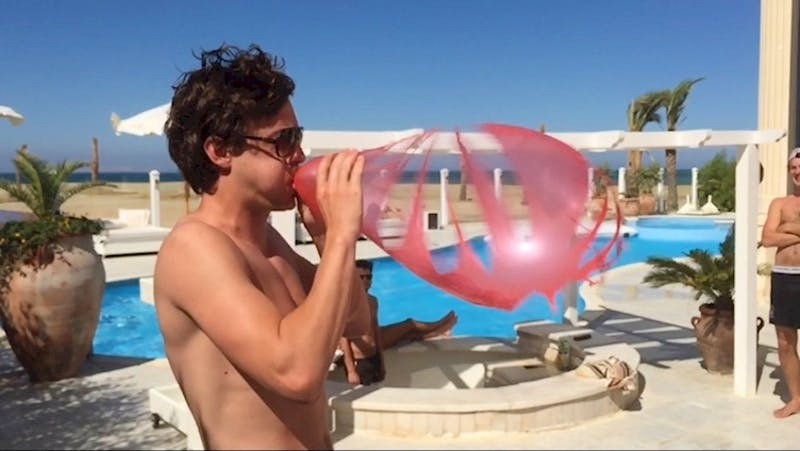 He put in too much air and probably that was the whole idea right from the start. We believe this result came out more impressive than expected! 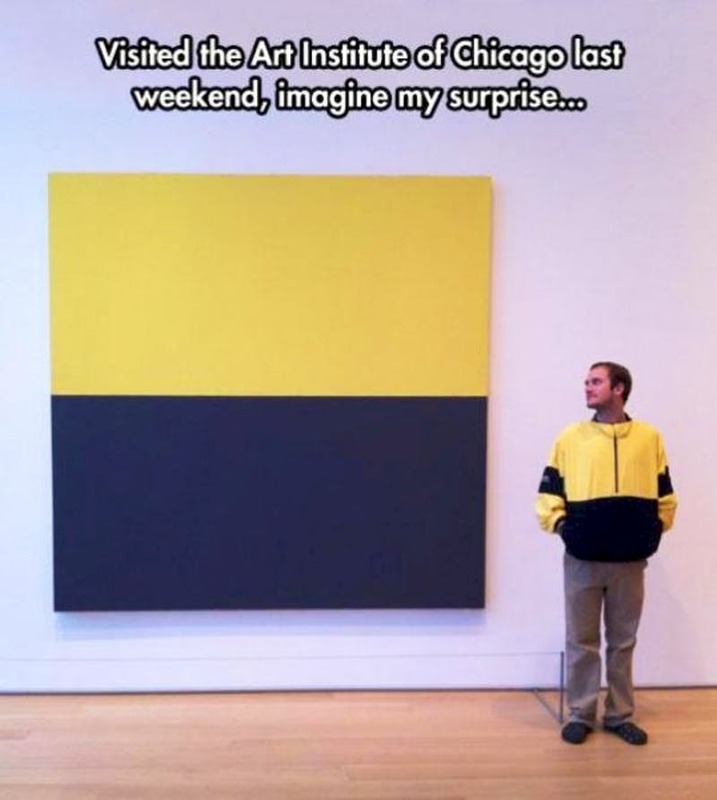 This person probably felt like an artist once he realized he is dressed up just like the character in this huge painting. He stated that it came as a surprise, and we can add that it comes as a very amusing situation. This is probably the best way to feel like a work of art! 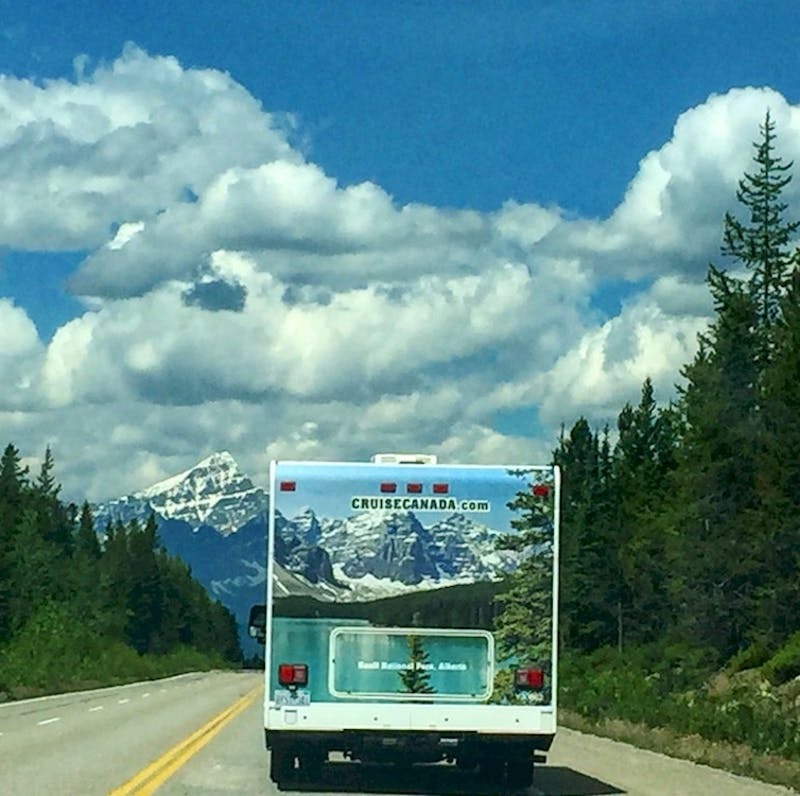 The mountains on the background line up perfectly with the photo of the back of this truck. Some people might wonder if this is not just an ad. 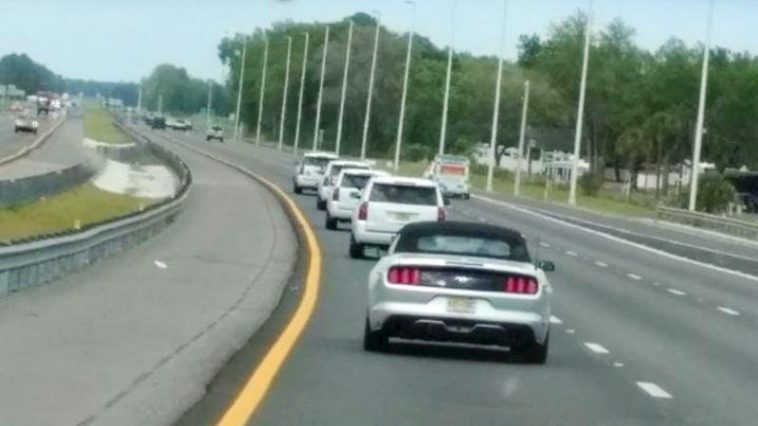 However the person who shared this pic claims that it was only a lucky coincidence. We would never know however in our opinion, what no one can argue about is that this pic came out pretty amazing!